Tour de France founder Henri Desgrange was a stubborn old cuss who didn't suffer fools gladly, and carved a sporting event into infamy out of the same granite resolve he wielded on riders, team managers, sponsors and manufacturers from 1903 to his death in 1940. There's no way he would endorse today's peloton and its use of race radios, back-up bicycles, or televisions in team cars; he'd likely gouge out his own eyes first. Desgrange once said that the ideal Tour would be one in which only one rider finished. By 1910, Desgrange introduced for the first time la voiture-balai—the broom wagon—to sweep up any riders unable to carry on. 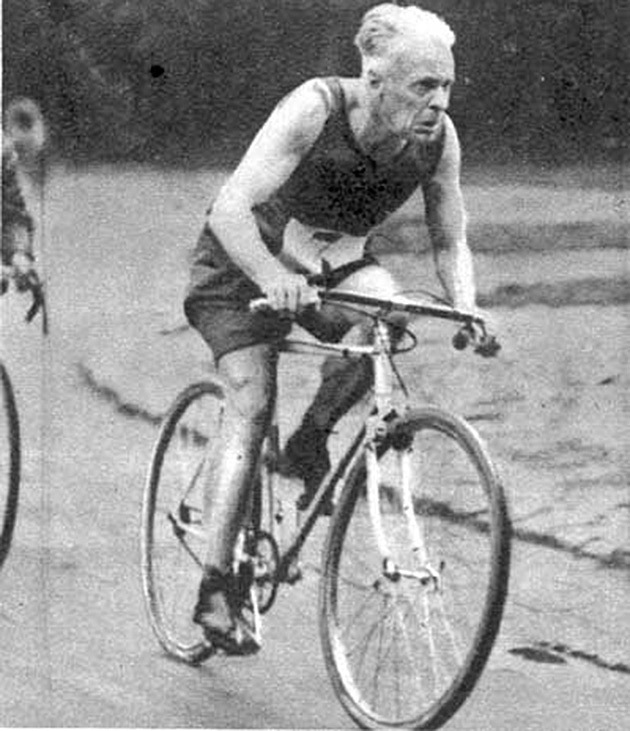 Paul de Vivie, (nicknamed Velocio), published Le Cycliste, chief competition to Desgrange's L'Auto, which was published on yellow paper. Velocio was a staunch supporter of derailleurs, good brakes, and lightweight repairable bikes. The so-called godfather of cyclotouring, Velocio, a fluent Esperanto speaker, was also a strict vegetarian. His riding style, adopted by many as a virtual religion, was to go long, go just fast enough, and to see the country. Velocio believed the only sustainable way to ride, and still get up into the mountains, was with gears. He thought it foolish that anyone would walk when they could be riding, a concept only possible with the use of variable gears. The division between the riding styles of Desgrange and Velocio were born at the turn the century and continued until Velocio's untimely death in 1930, when he moved out of the way of an oncoming truck, he moved into the way of an oncoming tram. Desgrange eventually allowed derailleurs in the Tour, but his minimalist credo continued well past his death. 1. “I still feel that variable gears are only for people over 45," Desgrange said in an interview with L’Équipe. "Isn’t it better to triumph by the strength of your muscles than by the artifice of a derailer? We are getting soft; as for me, give me a fixed gear!” Desgrange created a Tour atmosphere which directly mirrored the expectations he had of himself, physical and otherwise. He deliberately sought out stages to punish riders, weed out the weak, and to demonstrate exactly what was and what was not humanly possible. 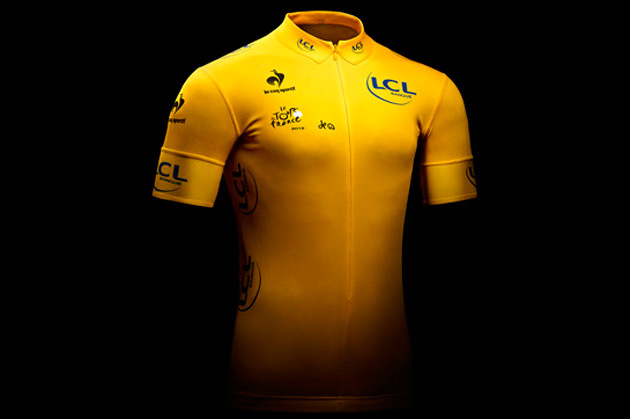 It was his unique personality and imprint on the race that has led the leader’s yellow jersey to carry his initials, H.D., in the style in which he wrote them. 2. Desgrange did not attend the first stage of the first Tour; nor did he attend the first stages in the Pyrenees. But, he did draft the rules of the Tour and strictly enforced them. Desgrange ran the Tour for over 30 years, and although the idea wasn’t his in the strictest, his commitment truly made it his Tour. 3. The true hero of the 1903 Tour was Georges Lefèvre. He followed the race as best he could, sometimes riding in the bunch on his bicycle, then catching a train to go ahead to see to the next checkpoint. He was a one-man, roving commissaire, organiser and reporter. Desgrange, meanwhile, remained in Paris, content to let his young assistant run the event, and hoping not to damage his reputation if it flopped, which of course it didn’t. When chimney sweep Maurice Garin rode into Paris as the winner, in front of a crowd of 20,000 paying spectators, Desgrange rushed out a special edition of L’Auto, whose sales had rocketed to 130,000. 4. 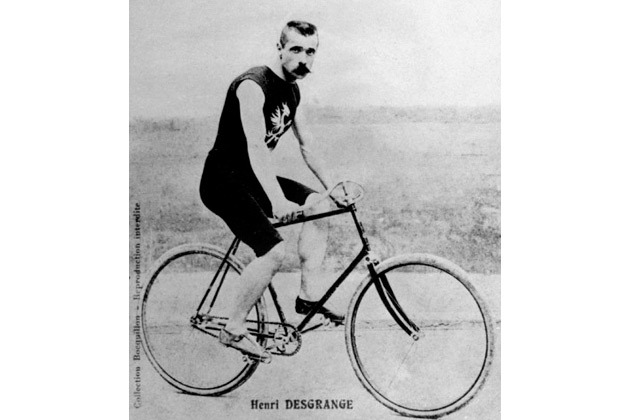 Prior to launching the Tour, Desgrange was an accomplished cyclist, winning 12 world track records and riding 35.325 kilometers on May 11, 1893 to set the Hour Record. Desgrange had a wife—whom he divorced—and a daughter; little is known of either. He spent most of his life with the avant-garde artist Jeanne Deley but never married her. 5. Desgrange grew up in an era when France had suffered humiliation in the Franco-Prussian War, and when he believed the French were 'tired, without muscle, without character and without willpower.' Desgrange believed that sport and exercise would improve the nation physically and morally. It was a belief that he lived out in his own life, timing himself to walk across his bedroom even days before he died at home on the Mediterranean coast on August 16, 1940, age 75.